In our latest shopper study, “Benchmarking The Future”, what is evident is this: over the last decade, we’ve digitized, we’ve “omnied”, we’ve “niched” and we’ve socialized. It has been important to do that. Many shoppers do want digital tools and omni-channel access, and new ways of connecting to each other, as well as new and inspiring brands. And, as the economy has improved, many have been willing to pay (a little) more to save time to make their lives easier. However, many do not. Which raises the question, are we moving too fast? Are we getting ahead of shoppers? Are we leaving the majority behind? The answers: Yes and no. First, let’s understand shoppers’ fundamental truths because they explain much. Today, for many, it’s no longer the quest for the lowest price as it was five to 10 years ago. It is about being a smart shopper. The majority tell us that, “I find what I want at prices I can afford”. Only a third now say they want the lowest price on most things (a key How America Shops® indicator over the years). It’s not that low price isn’t important, it’s that shoppers know where to get it if they want it, if they need it. There are many (more) places they can go than there were a decade ago, from physical to digital – Walmart, Dollar General, Aldi, Amazon, IKEA, Wayfair, Everlane and H&M, to name a few. Price is quickly being replaced by “time” as the shoppers’ new value currency. Half tell us they want to shop where they can get a lot done in one place as many look to simplify and take the stress out of their lives. Anything, any place (physical or digital) that makes life easier is important to many. Which is why, of course, the physical store still matters. I continue to harp on this, because in spite of all the spending to the contrary, most shoppers still are in “the store” at some point each week. Seven-out-of-ten tell us they still make their weekly shopping trips to a physical store, three-out-of-ten go online. Clearly, we cannot discount the impact of digital or omni-channel shopping: 32% is a lot of people doing their weekly shopping (or part of it) online. However, it is important to remember that the majority still do their weekly chores (for groceries or anything else) in the traditional retail space. To complicate issues when we look at how people shop, the tools they use, digital and traditional tools, are equally important to many – including the youngest, Generation Z. Shoppers at large still use paper coupons and circulars as well as digital ones, they talk to a real person and digital ones, get advice from real friends or digital strangers. That’s what the best companies I know recognize as they benchmark their own futures. 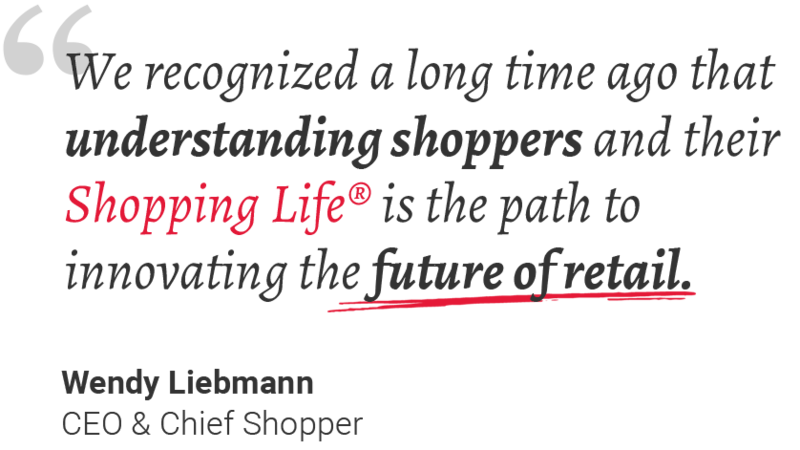 For more on our How America Shops® Benchmarking the Future study click here.